I think that The Little Prince by Antoine De Saint-Exupéry is a children’s library essential. It is also one of those books best read aloud as the magic of the story is maximised with good story-telling. Originally published more than 65 years ago, The Little Prince tells the story of a pilot who meets a little prince after a plane crash in a desert. The prince describes his journey from planet to planet in a search for what is most important in life. 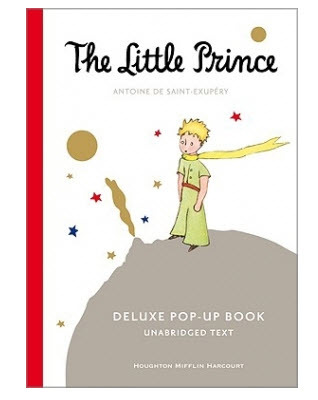 Now The Little Prince comes to life in a whole new way with a pop-up edition of the story. 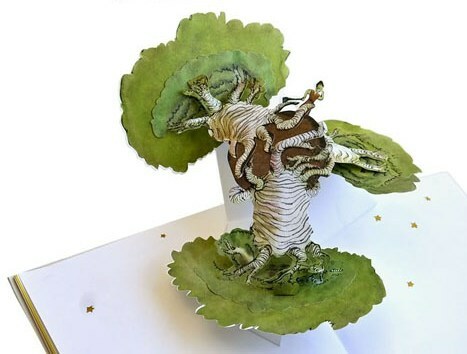 Like many pop-up books, it is difficult to convey just how exquisite the paper engineering actually is and I wouldn’t want to spoil the surprises that each page holds. However, The Little Prince goes beyond simple folds and pull-tabs. Almost all of the original illustrations have been given a ‘pop-up’ treatment. Expect magically rotating planets, birds flying off the page, flowers bursting into bloom and snakes slithering. For those familiar with the story, the Baobab trees are a masterpiece and the Little Prince scaling the mountain, superb. Importantly, the text is unabridged. Too often when pop-up books are published, the text is put aside for paper engineering tricks. However, The Little Prince is the best of everything. The story is complete, the illustrations are original and there is amazing, irresistible pop-up, pop-out, turn around and slide along paper features. I’ll enjoy this pop-up book with my children now but it is also a treasure that will stay in my collection when the kids are all grown up. 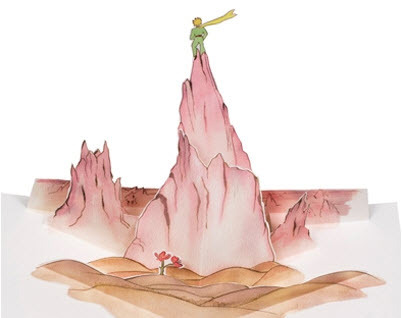 The Little Prince pop-up book is available from Fishpond for $33.97.